Disney does an amazing job at decorating the parks and hotels for Christmas. The holiday focal point at each park is a giant tree. 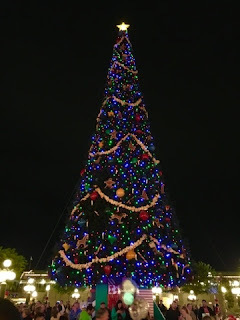 The Christmas tree in the Magic Kingdom is right in Town Square. I took this shot on Friday night.